Karla Martinez plans to go toe-to-toe with terrorism after college. Getting that dream job at the Department of Homeland Security isn’t going to happen overnight, but Karla is taking steps to get there. 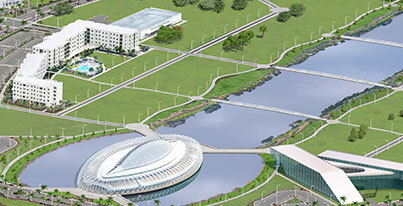 A big first step is studying cyber security at Florida Polytechnic University. The rising Junior has laid the groundwork through classes in computer science and networking, then soaked up high-level classes like Data Structures and Algorithms and Software Engineering. Collectively, these classes are preparing Karla to take on one of the biggest global threats to society. Hypothetical like power grids shut down by hackers came true in 2015, when a cyber-attacker knocked out power to more than 230,000 homes in the Ukraine. U.S. officials blame operatives in China for the 2015 theft of personal information from more than 22 million government employees. Before Karla can take a position on the front lines, she needs to build up experience. She plans to try a variety of positions at sensitive locations like banks to learn their approach to cyber security. “They have a very intricate system because they’re handling more than money. They also have people’s information to protect,” Karla says. 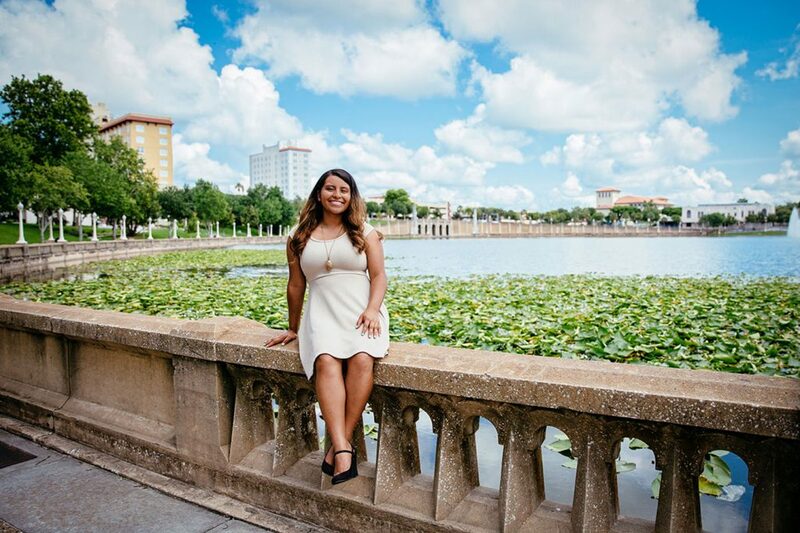 To gain access to those locations, Karla is beginning with an internship at YLakeland, an initiative of the Lakeland Economic Development Council to attract and retain young professionals in the Central Florida city. Karla made the connection with YLakeland through Dr. Kathryn Miller, Florida Poly’s director of libraries. Karla credits Dr. Miller for nudging all students to consider internships and summer jobs that can further their future careers. “She really cares and shows us why it’s important to take initiative. These internships are stepping stones for us, but you have to go out and look for the opportunities,” Karla says. As part of her internship, Karla is developing the YLakeland website using WordPress. It’s a different area of computer science than her coursework, but Karla has found it to be a valuable skill for her resume. It’s also an opportunity to build connections, gain references and get a peek into the 9-5 workaday world. “It’s really pushed me to a new level. I really enjoy it,” Karla says.